At CareFlight another round of training many people is about to come up so it seemed like a good chance to ask Dr Sam Bendall for her first contribution. Sam is an Emergency Physician who is passionate about education, particularly all things simulation. She works half-time at Royal Prince Alfred Hospital in Sydney in the Emergency Department where she helped develop and teaches the RPA Trauma Team Training program, teaches on the CIN nurses programs and helped develop the ED Essentials program. At CareFlight she is a retrieval doc (the other half-time) and the Deputy Director of Education. The CareFlight Education Team are always up to interesting things – from training the Australian Defence Force medical on how to look after all things ballistic, medical, surgical and paediatric, to running the Pre-Hospital Trauma Course both in Sydney and other locations (Malaysia, anyone? ), to running Trauma Care Workshops all over the country. Oh, and of course all those working with CareFlight too. As a passionate advocate for simulation I look around and see this amazing tool appear in many guises, all under the same blanket term. It certainly seems to mean many things to many people depending on their previous experiences. In some ways it is the SWISS ARMY KNIFE of kinesthetic education. The coolest knife has pliers and scissors. However, just like a Swiss army knife, it can be a harmful weapon (hence the name! ), just plain useless (like when you want the one with pliers but you only have the single blade), or a bit uninspiring and encourage automatic behaviours – e.g. all Swiss army knives are red and you should have one. This clearly rubbish version doesn’t even have the magnifying glass. Simulation has almost become the learning apparatus du jour – everyone has to do it but some are not sure why or how to really make it work. A bit like having a Swiss army knife so you can be part of the Swiss army, but it lives in the drawer. I will put a disclaimer in at this point. The following are my own opinions – the musings of a dedicated simulation-phile after several years of training in simulation and doing simulation exercises for anywhere from 2 – 150 people. I’m going to put a slightly different spin on it, with an emphasis on simulation for the pre-hospital environment. 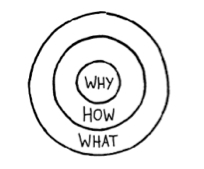 Simon Sinek, in his TED talk in 2009 titled “Start with Why” made a very powerful case for asking yourself WHY you want to do something… in this case, simulation, at the outset. The HOW and the WHAT will follow if you drill down onto the why and firmly establish WHY you want your participants to do simulation. Simulation is a journey, for both the instructors and participants. Hopefully a journey towards some constructive learning, but one that will have many interesting twists and turns along the way. Being sure of WHY you are undertaking this part of the journey, gives you the freedom to explore the twists and turns of the journey without losing sight of the original intent. So my step 1 in building a simulation, is to ask yourself why? WHY are you doing this? In our organisation, our WHY? is to create a mission-ready workforce. 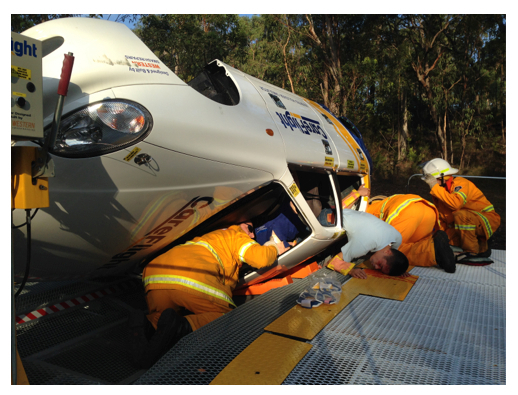 Pre-hospital medicine throws out so many variables – communication, teamwork, environmental, situational awareness, medical challenges, geographical challenges and the list goes on. In order to make our workforce mission ready, we need them to be critical thinkers, able to choose the right skill, equipment and approach for the right case at the right time. 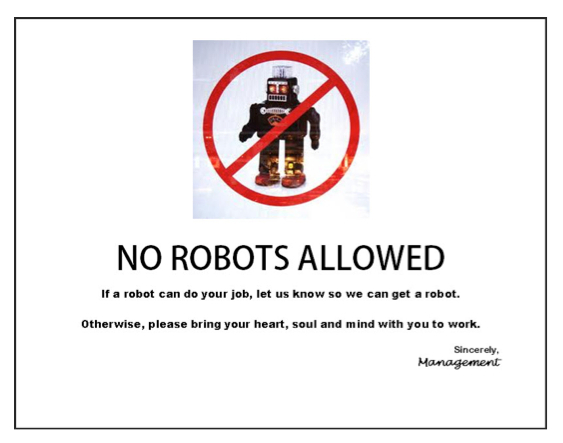 Though if we had one of those shapeshifting Terminator ones could we program it to be friendlier? We also need them to be aware of the variables they will need to deal with on real jobs so that they can manage them consciously. In order to do this we need to replicate as many of these variables as possible so they can address them in a training environment. We aim to send our participants out on jobs that feel just like the scenarios they have done in training. No pressure! The simulation menu is fairly extensive and limited only by your creativity and ability to structure it in a way that is true to the learning objectives and easy to follow for your participants. The key elements of creating a scenario, whether it be for 2 or 50 participants, is that they need to know the rules, boundaries, and premises for the scenario….. hmm sounds like parenthood! So first decide on your structure. Is it an audience that is learning a concept for the first time and you need to do it for real, but slow it down? Well “pause and discuss” is your man. Do you need to see where your participants’ critical decision making is at and where the deficits lie? Immersive, relatively high fidelity simulation, with key variables built in, is the tool of choice. Do you need to occupy 30 participants in a large scale simulation? – Create foci so the participants will need to form their own teams within the simulation. This will bring out all of the teamwork, communication and leadership points from the start. 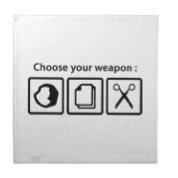 Whatever weapon you choose, it needs to be appropriate to the audience, their experience and what you are trying to teach by doing the simulation exercise. Well this depends on what you are trying to deliver in your simulation. If, for example, your aim is to test and consolidate a new protocol, then the scale of your simulation can be quite limited. You may not need to bring in as many variables, or much fidelity. As long as the key prompts are there for the participants and they have the knowledge, skills and equipment to fulfill the protocol, then a limited scenario is fine. BUT…. and there is a BIG but in this one. Be realistic in developing your scenario. If you are testing an ALS protocol, doing a bog standard ALS protocol with a patient in a bed may tick your box. BUT ….. in 20 years of medicine I think I have been to less than 10 arrests in ward beds and way more than 30 in other places – the toilet, the CT scanner, theatre, the foyer of the hospital, the waiting room, the beach etc. etc. You get the picture. So I would argue here that a bog standard ALS type scripted scenario has its place, but should be followed up by the application of the protocol where it is likely to happen and bring in the teamwork and communication aspects that we know actually make ALS protocols work in real life. At CareFlight we educate using a “crawl, walk, run” paradigm. First you crawl – i.e. you learn the skill or concept in isolation. Then you walk – using relatively low fidelity simulation with limited learning outcomes, you learn to apply that skill appropriately. Then you RUN. In our “RUN” scenarios, we introduce many more variables that replicate the environment they will have to operate in. We increase the fidelity and prompt the participants to evaluate the situation, decide whether that skill or concept is appropriate, apply it if it is or find an alternative if it is not. This layering approach helps to consolidate skills and knowledge and develops critical decision-making processes in a way that is directly applicable to the job we do. Couldn’t agree more! I share your views on simulation as a powerful tool, but also a tool with a lot of pitfalls. We are constantly working to improve our “why’s”, that means developing realistic and productive learning outcomes that gives a meaning to those praticipating. “Practising CRM” has been a standard leraning outcome in many of our scenarios, but does it lead the praticipant towards the goal? And from my most recent simulation experiences I have decided that I will focus much more on the small details, so that we can put pressure on the participants to be aware of these details. Often the focus of the simulation is on communication and teamwork etc, and we then fail to add that last, little piece of realism. By adding that, I think we can expect more from the participants (for me mostly postgraduate nursing students), e.g. to check the iv-line for disconnection if the pasient doesn’t respond to medication, the things we expect them to do in real life situations! Thanks Lars, you are absolutely on the money and great to hear that there are likeminded souls out there:) It sounds like you are doing some great simulation where you are. My next post will be about fidelity in simulation and I would love your thoughts when we post it. Thanks and no you are definitely not alone! It’s great to hear that others are facing the same challenges and trying to keep simulation relevant and constructive.